Our SAM containers are the perfect choice for those in need of portable moving containers in the Minneapolis & St. Paul area. Simple – You load…we move! Our moving containers are approximately 16′ long, 8′ wide and 8′ high and hold the contents of a typical 1,500-square-foot home (basement, garage, patio and attic items may require an additional moving storage container). Just load your belongings into the moving container. We’ll arrange to move it to your new location, where you can call us to pick it up when you are done. Flexible – Store your moving container at your location, with us, or have us move the container to a new location. Need additional moving and storage containers? Let us know and we’ll bring them to you. Convenient – Pack and unpack at your pace. Your moving container stays on-site as long as you like, eliminating the pressure associated with moving truck rental. 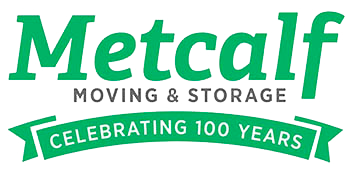 Easy – There’s no truck to drive or a trailer to pull – we’ll move your portable storage container across town to your new home. Safe – Our moving and storage containers sit level to the ground, so there are no dangerous ramps to worry about when loading. Secure – Our sturdy, portable moving and storage containers are constructed with waterproof materials and designed with moving in mind. Use our unique tie-down rings to secure your belongings and prevent shifting while moving. Helpful – Our staff are ready to help you with your moving needs. Ready to let us lend a hand with your move? Get a quote or get a container now! Make sure you get the best moving container and the best value for your needs! SAM portable storage containers…Compare us with PODS ®, PACK RAT ® and U-PACK ®.